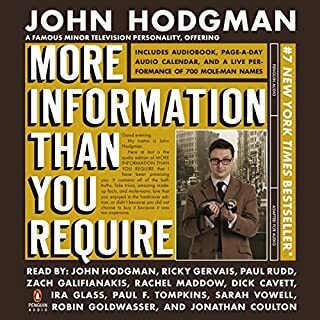 Welcome to the paperless (or "audiobook") edition of More Information Than You Require, a further compendium of COMPLETE WORLD KNOWLEDGE assembled and illumined by John Hodgman, a Famous Minor Television Personality. 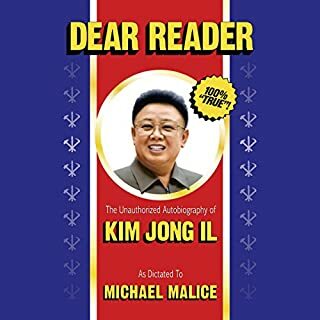 It contains all of the half-truths, fake trivia, amazing made-up facts, and molemanic lore as the paper edition, narrated here by Resident Expert John Hodgman, occasionally interrupted by this veritable extravaganza of illustrious and sometimes presumptuous guests. The first half is exceptional. I absolutely loved the first half of the book, which involved many delightful exchanges between Hodgman and Coulton, but the sedan half of the book is a play on the book of lists, except with made up lists. 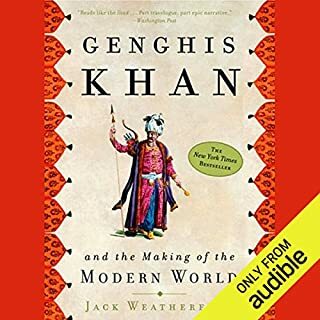 The first section is brilliant and witty, the second, as an audiobook, has funny parts but wears on the ears. 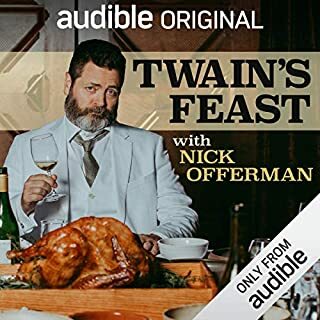 As a chef, and a lover of Twain, I was stoked by this books premise. 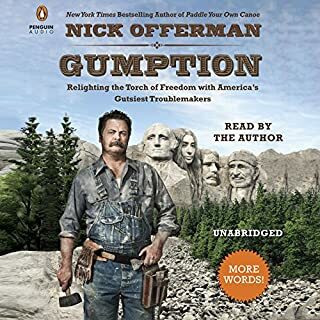 The telling is good and the story has some wonderful potential, but like other Offerman books strays into unsupported political opinion, some of it even ascribed to Twain without evidence. I would have preferred a real book on the recipes and foods of Twains books, leaving the political conjecture to other ventures. Nick tells a good tale, and in his signature voice, however he seasons his story with his own political opinions, which are not well supported (in the book) by evidence, or reason, and thus come of as a kind of sneering political opinion I find there is no lack of in todays world. A master tells the story of another. 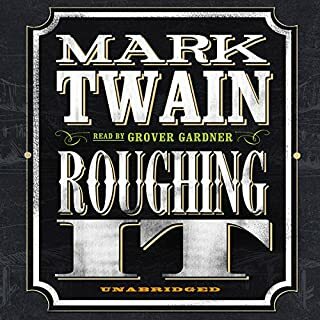 There are few more clever, eloquent and quintessentially American authors than Twain. This essay account of his time out west carves a wondrous tale of the his era and life. Gardener is as masterful at the telling as Twain. A perfect match! There are two minds that I have fallen in love with, while never having met them face to face. 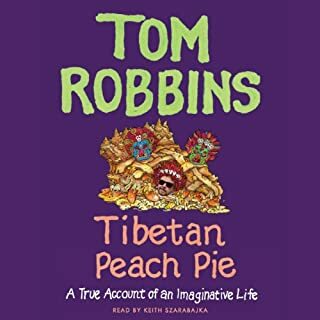 Tom Robbins is one. I found Tom Through Half Asleep, and then Cowgirls, and fell head over heels. I read everything I could find he had published eland even for a while read things others wrote about him. This book, his last, so far, tells the story behind the stories that captured my heart and my imagination. I found it mostly greatly pleasing to see how and where he gained the inspiration for the many concepts, themes and tropes speckled throughout the universe created by his writings. My only small disappointment was learning (from a few short sentences) Toms general pessimism about the future and anti humanism in that regard, but every, even Tom is entitled to their own opinion; no matter how dunderheaded it may be. Author Mark Kurlansky pleasantly surprised the world with this engaging best-seller that garnered rave reviews from critics and casual readers alike. 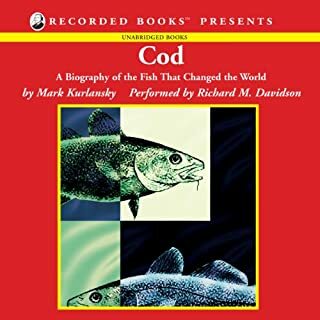 His subject for this whimsical biography is the codfish, a species remarkable for its influence on humanity. Cod, Kurlansky argues, has driven economic, political, cultural and military thinking for centuries in the lands surrounding the Atlantic Ocean. Nations like England and Germany have waged wars for cod. While Salt ranges the whole world and far deeper in time, Cod offers a more compact but still lively tale of the humble fish. Great stuff must read for anyone interested in food history and lore. Not a bad book. Readable, listenable. Interesting and funny. But sprawling across a vast landscape of meaty military science while barley sinking teeth into any topic very deep. 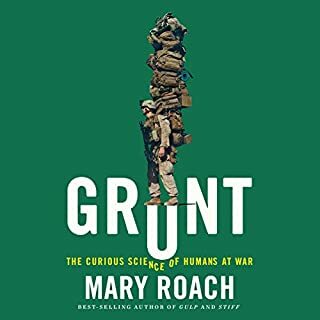 Not nearly as focused and informative as stiff or spook, Mary seems to have bitten off more than can be chewed with this book. 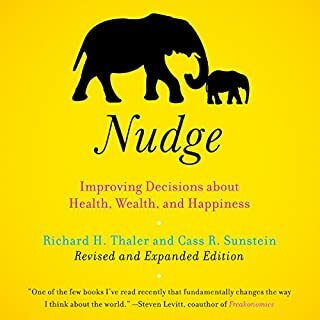 I've been looking forward to reading nudged for some time...I think since I heard of the British tax letters several years ago. Overall the book is very well done and they hypothesis set out clearly with detailed case study and even ample consideration of criticisms. I find the idea of libertarian paternalism very enticing and under most circumstances something I am fully behind. That said I felt the book glossed over a few key conditions that require libertarianism to precede paternalism for nudges to work. 1. In order to get the data on what works we have to also get the data on what doesn't. To get that we have to allow liberty first and after we see failed experiments provide educated nudges. 2. Similarly as above we mush always be vigilant against the appeal to super human nudgers. ThT is to say the humans deciding what and where to nudge are no better or brighter or less human than those they would nudges. Beware of their ambition to nudge. This is a fascinating look at an empire that has shaped so much of our modern world it boggles the mind.